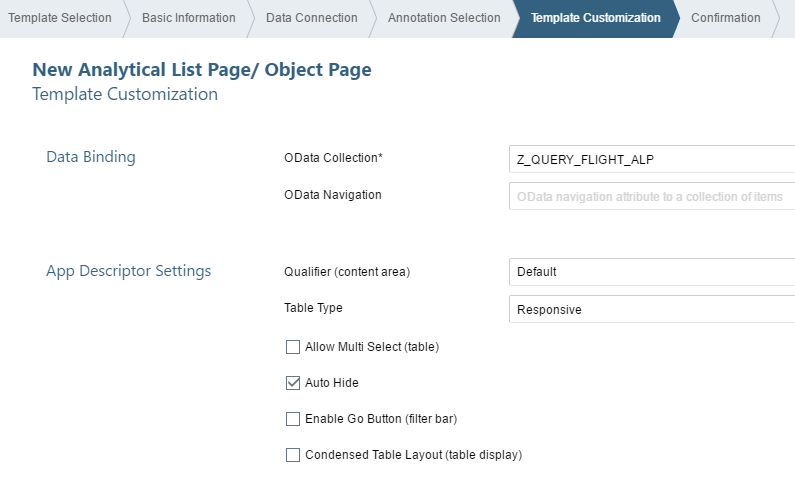 Analytical List Page is a powerful Fiori Element available since SAPUI5 innovation version 1.48, this template provides the ability to create an analytical dashboard with KPIs, charts, tables and also a drill-down navigation to a detail page. We also have a drill-down navigation that can be configured to redirect the user to an Object Page(configured internally through annotations) or a Cross-app navigation (based on a semantic object, action and parameters). Let’s check in details each one of these components. Contains the variant management and a section of global KPI tags, it’s possible to display a maximum of three KPIs per application. Pressing a KPI tag provides access to the KPI card which contains a chart with additional information, the KPI card is based on the same template of the analytical card provided by Overview Pages. Basically composed by the filter area which allows users to filter the result set. Two types of filters are supported: compact filters and visual filters. Users can toggle between the two filter modes anytime. 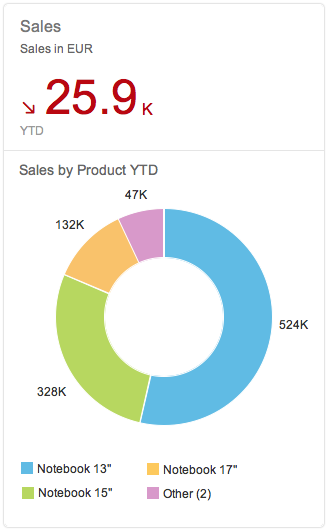 Visual filters are composed by a title and an interactive chart, there are three types available at the moment: bar chart, line chart and donut chart. 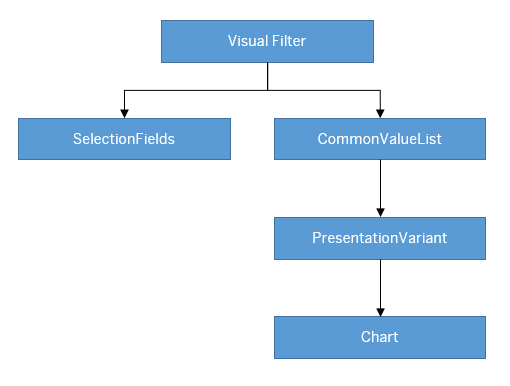 When the user selects one point in the chart the content area is filtered based on the selected value, in the case of a hybrid view the chart and table are filtered at the same time. Consists of either a hybrid view (combination of a chart and a table), a chart-only view, or a table-only view. This is the main working area, where users can interact with both the chart and table visualizations, remember that chart visualization increases the joy of use and enables users to spot relevant data more quickly. The analytical list page always comes with the three views, so it means the user can toggle between the different layouts anytime. KPI Card with Weight of Luggage by Country. Visual Filter with Total of Bookings by Year. Chart with Total of Bookings by Year and Airline. Table with Total of Bookings and Weight of Luggage by Airline. Object page with a simple form with the Airline, Total of Bookings and Weight of Luggage. 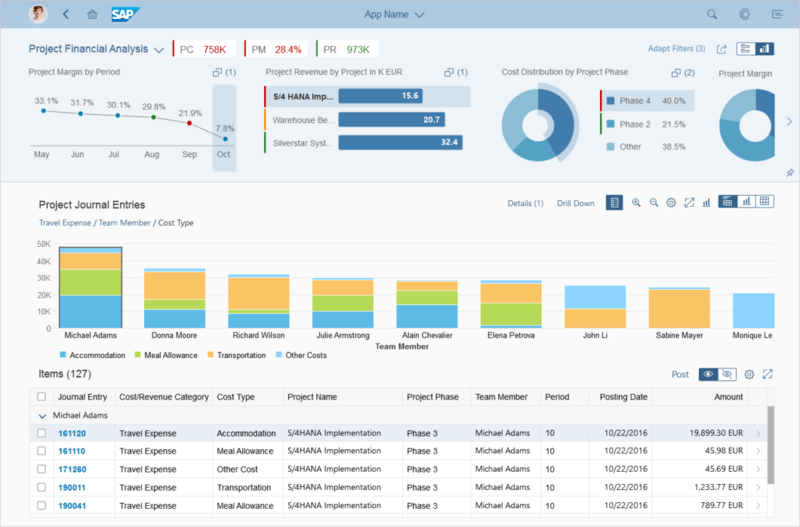 All the technical steps to construct our application can be found in the SAP Help. We basically need to configure the App Descriptor and the Annotation file inside our UI5 application, but in this demo I decided to explain an alternative way declaring all the annotations in the ABAP CDS layer, this strategy reduces the configuration work in the UI5 app. To facilitate the understanding of all the concepts I’m going to start with the ABAP CDS development explaining each one of the items in details before we expose the whole CDS view. After we finish this first section I’m going to explain the remaining steps of configuration inside of the UI5 application. The analytical query has the ability to aggregate data based only in the exposed dimensions, this is an essential functionality for analytical applications, also, we can declare all the UI annotations responsible for the coordination of the front-end in a single CDS view. Let’s start the development thinking only in the relevant fields for the query output. Let’s construct a draft of the CDS view in a simple form (without the annotations), this way we can focus only in the relevant dimensions, measures and the exposure of the OData service. Don’t forget to place the annotation @Analytics.query: true to transform this CDS view in an analytical query and use the power of aggregation, as I mentioned before, this item is essential for this kind of application. Also, place the @OData.publish: true in the header to publish an OData service project automatically based on the structure of our CDS view. Now we populated all the relevant fields and we can start to fill the relevant annotations for each one of the ALP sections. In this section we want only a KPI tag and card, check below the set of annotations expected to achieve this functionality. 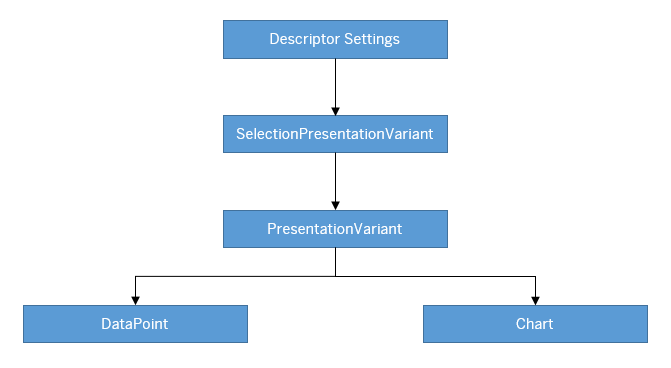 Let’s translate this diagram and publish the relevant annotations in the header of our CDS view. And this annotation on the top of our key figure to generate a Data Point (Weight of Luggage). Important Note: The Descriptor Settings are configured in the manifest.json file inside the UI5 application. We’ll check this configuration in details in the final section of this article. And this annotation on the top of our dimension (Calendar Year). Important Note: CommonValueList cannot be configured inside the CDS view, so we’re going to adapt this annotation directly in the annotation file inside the UI5 application. We’ll check this configuration in details in the final section of this article. Since we are working with a Hybrid View we should prepare annotations for the chart and table, check below the expected set of annotations for each one of them. Let’s translate these diagrams and publish the relevant annotations in the header of our CDS view. Important Note: The Descriptor Settings are configured in the manifest.json file inside of the UI5 application. We’ll check this configuration in details in the final section of this article. 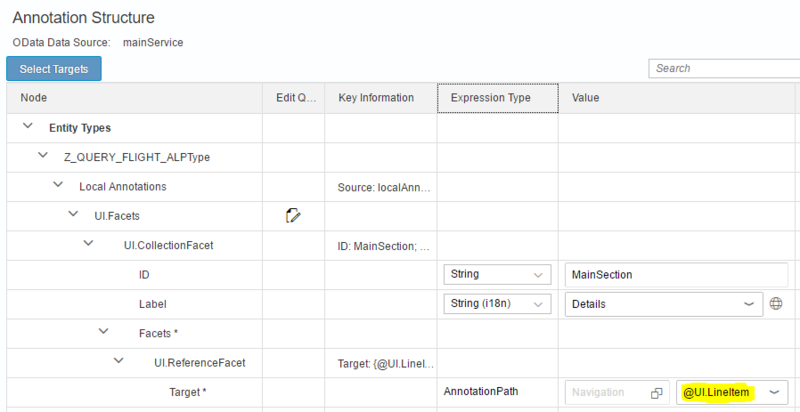 Just adapt these XML annotations in your UI5 application and you’ll achieve the same results. ? Before you start your UI5 application don’t forget to activate your OData service in the SAP Gateway, use transaction /IWFND/MAINT_SERVICE to activate and /IWFND/GW_CLIENT to test your service. 1. Select Analytical List Page as the template. 2. Fill the project name, title, namespace and description. 3. 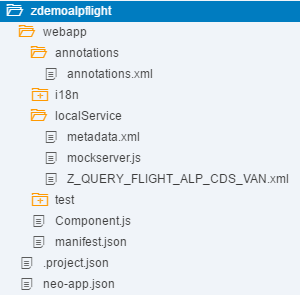 Select the OData service Z_QUERY_FLIGHT_ALP_CDS. 4. Select the remote annotation file to expose the annotations generated through the ABAP CDS view, this file contains the XML output demonstrated in the previous section. 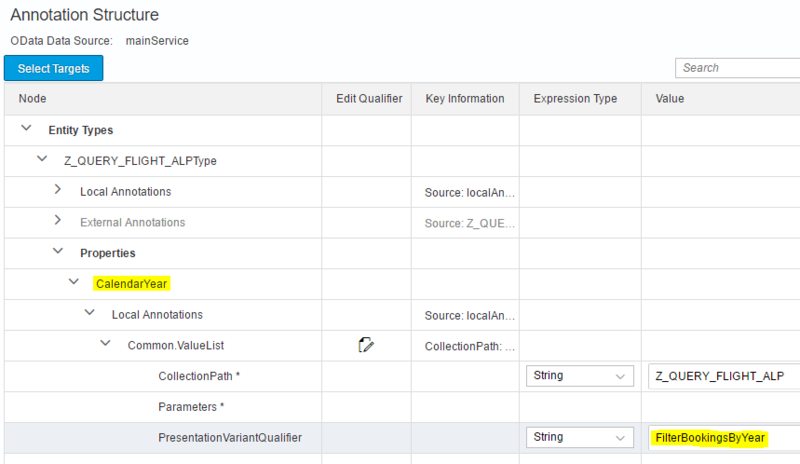 Note: Don’t forget to place Default as the qualifier, since we defined this name in our ABAP CDS view we need to configure this name in the template customization. 6. Press Finish to conclude the Web IDE wizard. This is the structure of your project after you conclude all the steps. 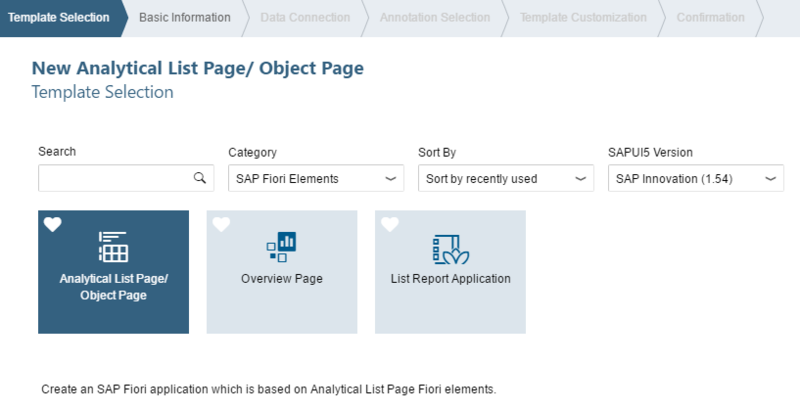 Inside of the App descriptor (manifest.json) we can find the relevant code for the Analytical List Page(sap.ui.generic.app), this snippet of code is generated automatically based on our previous configuration through the Web IDE wizard. Object page layout in the annotation.xml. Don’t forget to create a new model called kpi pointing to your data souce, in my example the model references the mainService data source but you could use a different source if you want. Configure a Common.ValueList annotation for the property CalendarYear. For this task you can use the annotation modeler or configure directly in the XML code. 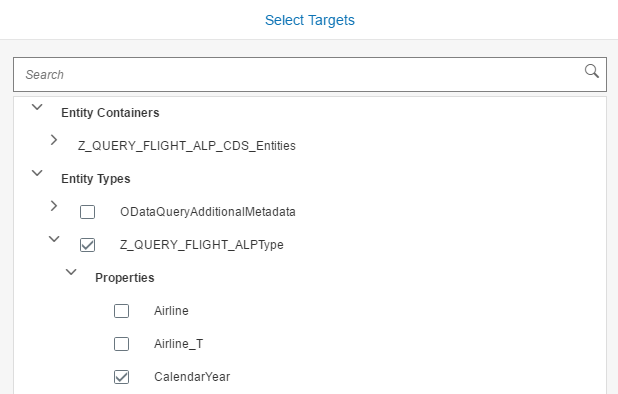 Using the annotation modeler select a new Target for the property CalendarYear. Finally we finished the configuration and now we can start to play with all the functionalities discussed so far, check below a quick presentation of this demo application. This is the end! I know this is a quite complex subject but I hope you’re able to understand the basic concepts around the ALP and enjoyed the content! See you next time! ?